The human and dog relationship spans back millennia. In return for shelter and provision, they helped us hunt, watched us whilst we slept and gave up the call of the wild. 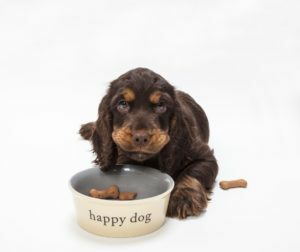 It’s no wonder that the old adage goes “Dog is man’s best friend.” With Christmas fast approaching, a puppy or family dog may be on the shortlist. The commitment of a dog is easily underestimated. So, if you’re considering buying a dog this year, please do so with utmost seriousness. Still with us? Great! Here are four very important questions that you need to ask yourself before making the commitment. 1. 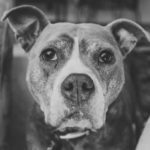 Can My Lifestyle Facilitate a Dog? Do you live in an apartment but love Border Collies – then you might have a problem. Do you work long hours and are often away for work? Do you go on holidays often? Got a thing for long hair Dachshunds, but have three young boys that enjoy playing rough? 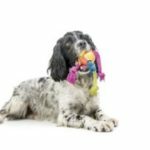 If you’re ready for a dog we recommend looking at your lifestyle first then finding a dog that will work within the framework of your life to enhance it rather than complicating it. Some key things to keep in mind are; exercise, grooming, companionship and cost. 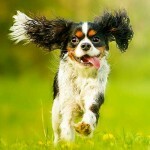 Can you exercise your dog daily? Can you commit to a grooming routine? 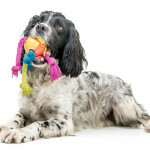 Are you available for long periods of time to be with your dog and train them to be well socialised and well behaved? And; finally, can you afford a dog? The average cost of owning a dog for a life is somewhere around the $25,000*, it can come as something of a shock. 2. Can I Commit, No Seriously? Owning a dog is in many ways like raising a child. You’re in for a financial commitment as well as an emotional one. You’re in for the highs that come from a well-behaved puppy that finally nails toilet time outside, as well as, the lows that come from the hyperactive mess that screams separation anxiety when you’re late home from work. We’ve all heard horror stories of people’s dogs who ate something they shouldn’t have and the veterinarian bill has gone well beyond a month’s pay. As a dog owner, you need to be able to foot that bill or be emotionally capable enough to wear a difficult decision. You’ll need to make allowances during holidays, be prepared for added items on your weekly groceries and we guarantee you will be up for ‘accidentals’. Don’t get us wrong we know they are worth it, but with the average dog living for around 12-15 years, that’s a long time to be committed. 3. Have You Done the Research? Okay, so you can commit. Have you done your research? Let’s start with the breed, every breed has a handful of traits that make them more or less suitable for you and your lifestyle. Are you an exercise freak that loves nothing more than running up to 10km a day? If so maybe you can get away with owning a working dog in your average Australian backyard. If not, what are willing to compromise on? Are you after a family pet that can take the playful abuse of the kids or do you need a watchdog that will let you know when someone is walking up the driveway? Are you calm and authoritative enough to be seen as the pack leader? If not in you’re in for some behavioural issues or perhaps you should just choose a less spirited pup that will fall inline easier. The internet is a great resource for primary research, we looked at a few online resources recently that can make this task less daunting – here. We also urge you to do your own research ask questions, talk to friends, make calls and if you’re buying from a breeder do a background check and make sure they are reputable. Make calls, talk to people. ONLY buy from registered breeders and of course… if you can, please consider a rescue dog. Which leads us to question four. You don’t need to own a dog from puppyhood for them to fit in with your family. There’s a solid chance that there is the perfect canine out there at a shelter just waiting for you to find them and take them home. Take your time ask yourself the right questions and if you’re ready then we can assure you that owning a dog is one of the most rewarding and fulfilling experiences you can have as a person. There’s nothing like sharing a silence with your pet, coming home after a bad day and knowing that your dog loves you no matter what. In a dog, you have a companion for life that will be at your side for every one of life’s challenges; big, small inconsequential and substantial. So, if you’re still in it for the long haul, ready for a some of the heartache and ALL of the love then you’ll have a companion for life.